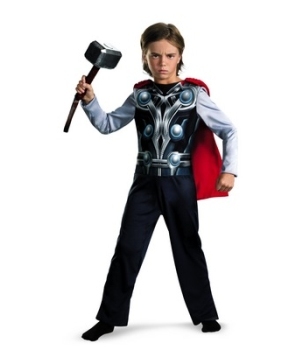 From Norse mythology to Marvel Comics to the big screen, Thor costumes transform you into one of the greatest superheroes of all time--considering that he is also a God! 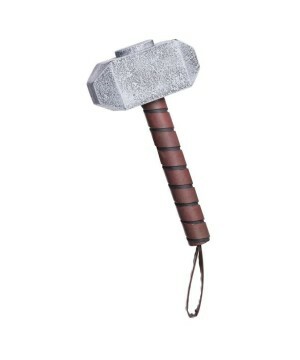 We have full outfits, accessories and props like Thor's thunderous hammer. 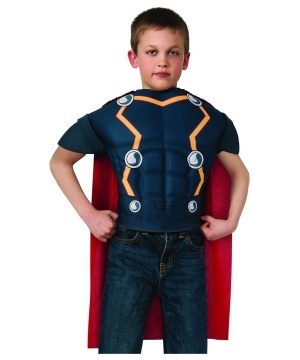 Thor costumes are not your average superhero attire. 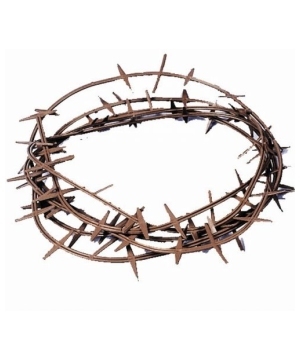 Thor is a character with the distinction of not only being inspired by mythology, but being an incarnation of it. Created by Stan Lee, Larry Lieber and Jack Kirby, Thor first appeared in 1962, and since then, a character that was initially conceived as a shot in the arm for a fledgling series has gone onto being ranked quite high on countless ‘Best Superhero’ lists. The idea behind Thor was simple – the readers were already familiar with Greek and Norse mythology, so why not give them a variation on them in a comic book form complete with the brightly colored adventures and stylized costumes? 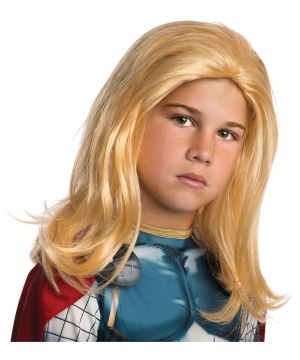 Thor, the Norse God of Thunder seemed like the most appropriate candidate for the ‘adventures-and-costumes’ treatment, and was given just that. 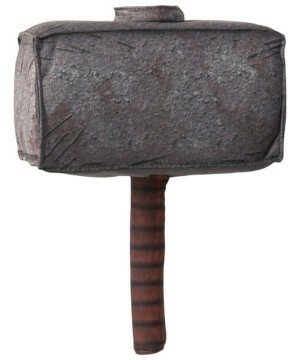 Stan Lee has talked often about Thor’s costume, his appearance and the general aesthetic of Asgard and his remarks make it clear how the Viking aesthetic was a big influence, especially in terms of the costumes, the colors on the costumes, and how the costumes utilize a helmet along with the flowing hair and beard the character (and other characters in the comic book) sports. 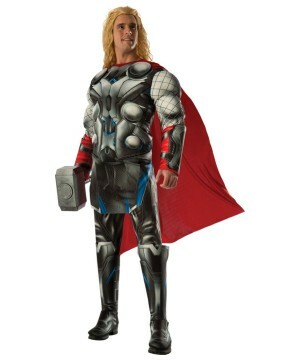 The costumes and the general aesthetic is an important part of Thor, as it provides the comics with a unique identity and sets it apart from the pack, and while adapting the comic for screen, Marvel Studios seems to have paid close attention to the fact, as when one sees either of the Thor movies, there is no mistaking them for anything else with how unique they look and feel thanks to the eloquent costumes and the grand sets seen in the films that are only augmented thanks to judicious use of CGI trickery. 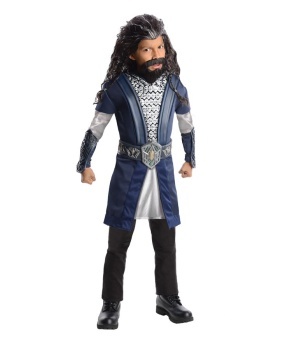 Every important character in the film, be it Thor, or his brother Loki the Trickster, or his father Odin, have a distinct look to them, and their costumes are accordingly tailored to reflect their personalities. 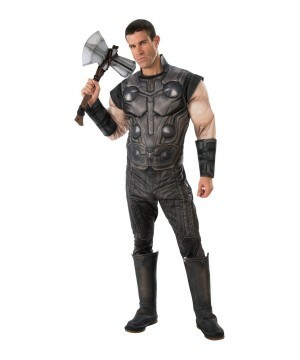 Thor’s costume uses extensive plating and reinforcements, and serves to educate the audience on how Thor is fearless and quick to battle, thus necessitating the need for the plating on the costume, while Loki’s costume foregoes the plating (until Loki is in his battle ready form) for a more flowing and elegant costume that highlights the God of Trickery’s penchant for style and charm. This process can be seen in the villains in both films as well, with the Frost Giants and Dark Elves having their own unique costumes to serve the same purpose. 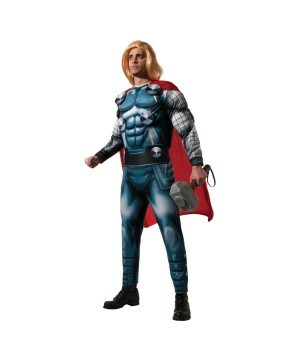 It's a bonus that the Thor films tend to have reasonably comic accurate costumes with the movie costumes combining the best elements of multiple comic book costumes to create a defining costume for each character, which as mentioned above, serves a specific purpose with regards to visual storytelling. 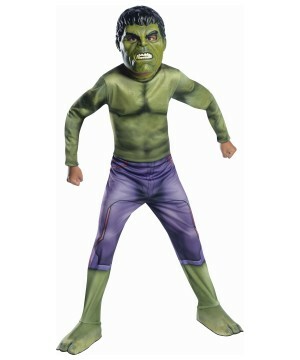 The film costumes do tend to forego the elaborate helmets that are a part of each character’s costume in the comics, but it was a small price to pay for the actors to retain their mobility. 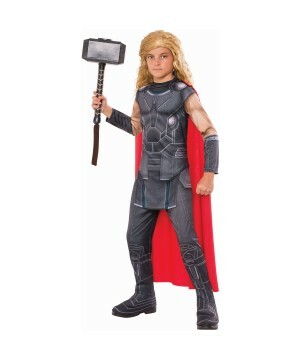 We at Wonder Costumes understand the euphoria among fans when it comes to Thor, and keep a healthy stock of Thor costumes with us to make sure every fan who comes to us looking for a Thor costume gets the costume he was looking for so that he can be the center of attention at an Asgard cosplay, Comic Con or Halloween. 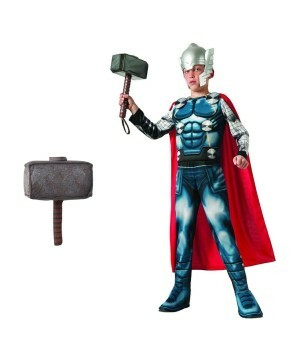 In addition to the costumes, we also keep the Mjolnir and other accessories that might be needed to complete a Thor costume. 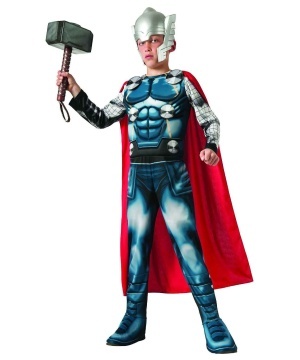 Wonder Costumes is the only place you need to look towards for all your Thor related needs!